Metadata associated with the ActiveMQ message age listener can be found here. The relevant code for the plugin can be found here. 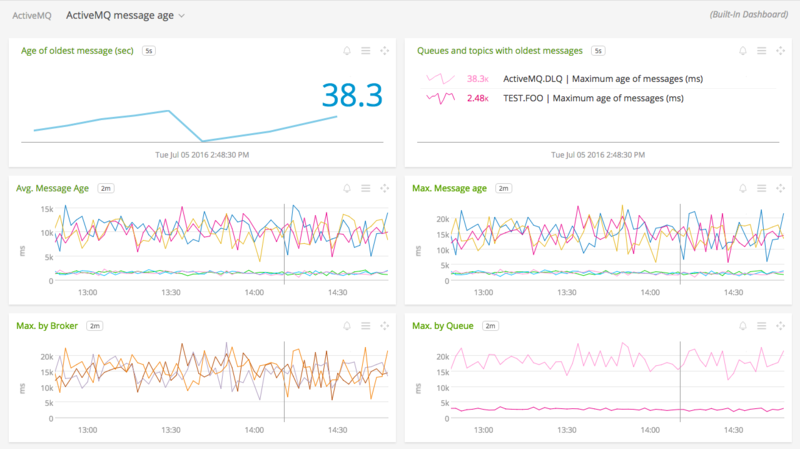 This tool measures the age of messages in ActiveMQ queues, and publishes the results to SignalFx. It actively inspects the messages that are waiting to be delivered in each queue, and therefore is especially useful for detecting messages that are “stuck” in ActiveMQ queues and unable to be delivered. To monitor the general health of ActiveMQ, see SignalFx’s ActiveMQ integration. 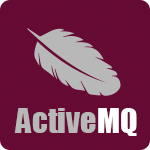 ActiveMQ Message Age: Shows the average age of messages in ActiveMQ queues. Download SignalFx’s ActiveMQ message age listener from https://github.com/signalfx/activemq-integration. Modify /activemq-integration/amq-message-age/properties to provide values that make sense for your environment, as described in Configuration, below. To determine what realm you are in (YOUR_SIGNALFX_REALM), check your profile page in the SignalFx web application (click the avatar in the upper right and click My Profile). If you are not in the us0 realm, you will need to set the sfx_host configuration option, as shown below. You will also need to set the token configuration option to your SignalFx organization access token (YOUR_SIGNALFX_API_TOKEN). Supply values for the following properties in the /activemq-integration/amq-message-age/properties file. In some versions of ActiveMQ, messages sometimes get stuck in the queue, and message consumers wont pick them up even if they have available capacity. This bug causes messages to never be delivered. Monitoring tools are typically unable to detect this condition due to a lack of visibility into the messages that never make it out of the queue. 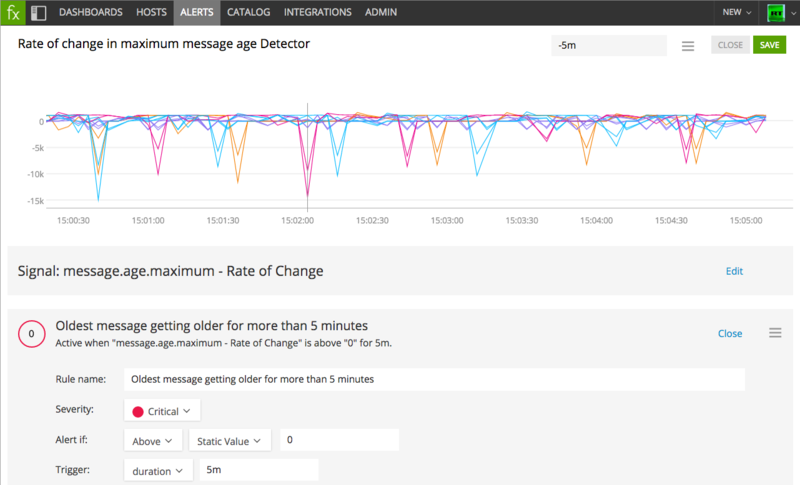 This tool provides visibility into “stuck” messages in ActiveMQ by inspecting each enqueued message, calculating the average and maximum age of messages per queue, and reporting those metrics to SignalFx using our Java client library. Our built-in dashboard for this data makes it immediately visible when messages have been waiting a long time to be delivered. In this example, one queue has messages that are nearly 40 seconds old. Using these metrics from inside each message queue, we can create intelligent detectors that alert when theres a message stuck in the queue and unable to be delivered. For example, you can create a detector that fires when the oldest message in the queue has been getting older for at least 5 minutes. To build this, we use the analytics function Rate of change, which lets us know how quickly a metric is changing. This detector will alert when a message is unable to be delivered for more than 5 minutes. Average age of ActiveMQ messages per host, broker and queue or topic, in milliseconds. Maximum age of ActiveMQ messages per host, broker and queue or topic, in milliseconds.